헤라는 빛의 변화와 움직임에 따라 물결치듯 반사되는 홀로그램 소재로 UV 미스트 쿠션을 제작했습니다. 헤라의 메인 컬러인 라이트 퍼플과 블랙의 컬러 조합을 주요 키워드로 하여 UV 미스트 쿠션의 이미지를 제작했습니다. 홀로그램 소재의 자연스럽게 빛나는 윤기, 흐르는 광채에 대한 표현을 네온사인, 패브릭, 액체 등 다양한 방법으로 믹스하여 연출하고자 했습니다. 트랜디한 캘리그래피를 광나는 네온사인과 같이 연출하여 헤라의 패셔너블한 느낌을 표현했습니다. UV 미스트 쿠션 커버는 실키 한 느낌의 패브릭으로 표현했으며 울트라 모이스처는 워터리 한 홀로그램 물결로 노출했습니다. 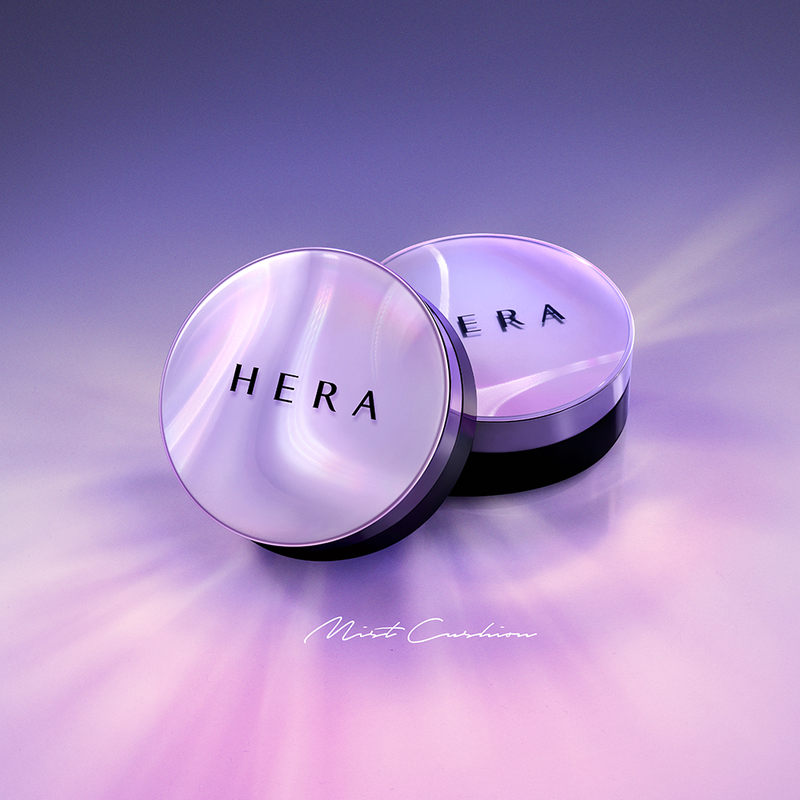 HERA UV Mist Cushion incorporates hologram through which the light-sensitive design can beautifully reflect light on waves of water and appear to make movements when surrounded by light. 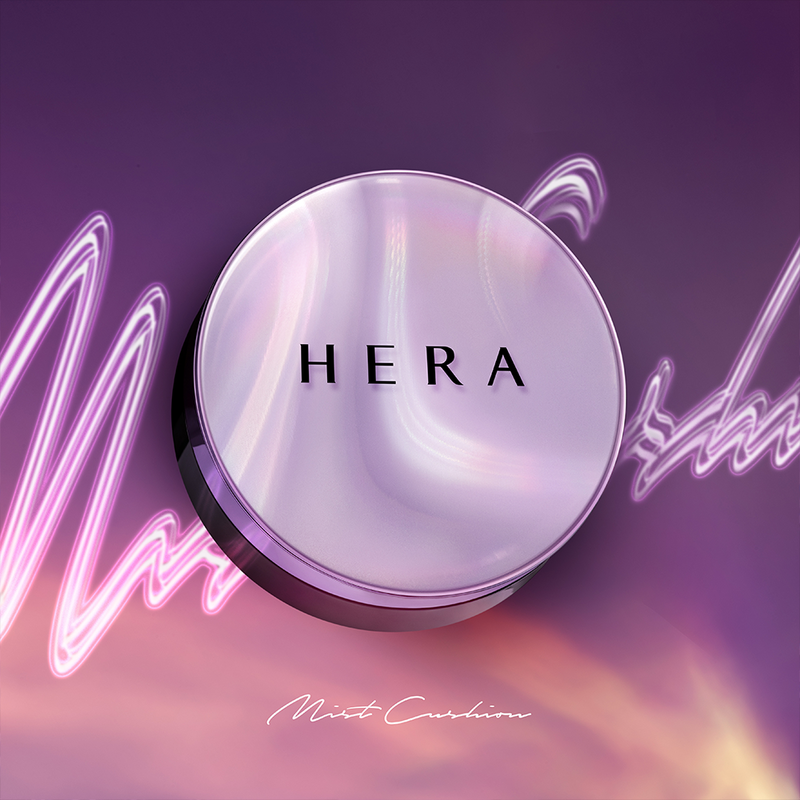 With HERA’s main colors -- light purple and black -- as keywords, the image of UV Mist Cushion was created. Naturally illuminating luster and flowing streams of light were expressed through various subjects as neon sign, fabric, liquid and the like were mixed and produced. Trendy calligraphy was also juxtaposed on shining neon signs to express the fashionable mood of HERA. The cover of UV Mist Cushion was expressed with silky fabric, with Ultra Moisture exposing the watery waves of hologram.